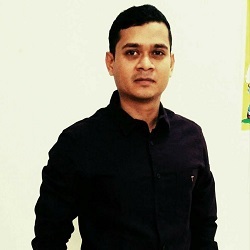 About me: Born and brought up in Dehradun, I did my schooling from Brooklyn School Dehradun and B.Tech from G.B.Pant University of Agriculture & Technology, Pantnagar in Industrial & Production Engineering in 2017. I joined Subir Chowdhury School of Quality and Reliability under M.Tech programme in 2017. An automobile enthusiast and a music buff, I like to play guitar and read Wikipedia articles in leisure. My inquisitive nature has always helped me enhance my knowledge and performance as a quizzer. A team player, I have been a part of many projects including SUPRA SAEINDIA and was the Chairperson of SAEINDIA COT Collegiate Club. I take upon those opportunities enthusiastically which encourage my contribution for the betterment of the society. Perseverance and diligence help me take up challenges with sincere commitments. My work is generally defined by patience and integrity. Publication: Anshul Nautiyal & Sanchit Goel “Intake Runner with Adjustable Plenum Volume” , International Journal of Interdisciplinary Research (Vol-3, Issue-4, 2017 ISSN: 2454-1362). About me: I am from WEST BENGAL. I have completed my B.TECH in MECHANICAL ENGINEERING from DR.B.C.ROY ENGINEERING COLLEGE, DURGAPUR in 2016. Now I am doing M.TECH (2017-2019) in RELIABILITY ENGINEERING from Subir Chowdhury School of Quality and Reliability, IIT KHARAGPUR. I have completed my schooling in WEST BENGAL. My hobby is to listening to song and playing chess and I love to watch people. About me: Hello!! I am Chandrakanth Banothu.I belong to Warangal district of Telangana state.Presently I am doing M.tech in Reliability Engineering at Subhir Choudary School of Quality and Reliability Engineering at IIT Kharagpur,West Bengal. I did B.Tech in Mechanical Engineering at NIT Durgapur,West Bengal.I have worked as a Senior Engineer in JSW-ISPAT STEEL Limited for 2 years and 6 months at Dolvi, near by Mumbai. Afterwords I joined in GSKCH Ltd (Horlicks factory) and worked for 3 years as an Executive at Rajahmundry site, Andhra Pradesh.In both the organisations I was in the maintenance department and looking after maintenance activities.I love to work as a team member and also love to lead the team. I value friendships and relationships,as it is based on trust, which is the basic necessity for the succes of any organisation .My area of interest is to study and improve the mechanical system reliability to reduce the down time. I know 3 languages i.e Telugu,Hindi and English.Apart from studies I update myself on state and national issues on daily basis.I love plantation.I have a habit of collection of different coins and notes. About me: I have done my B.E. 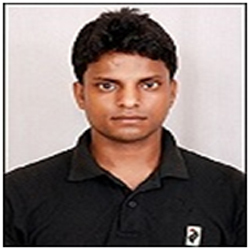 in Mechanical Engineering from K. K. Wagh Institute of Engineering Education and Research , University of Pune in 2016. I have done the master certificate course in CAD/CAM at IGTR, Pune. Joined Subir Chowdhury School of Quality and Reliability under M.Tech programme in 2017. Besides academics I like to play chess, swimming, travelling and photography. I like to work in a team. 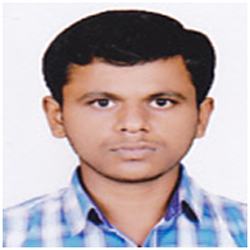 About me: I have done my undergraduation in Electrical and Electronics Engineering from University College of Engineering, Kakatiya University in 2016. Joined Subir Chowdhury School of Quality and Reliability under M.Tech programme in 2016. 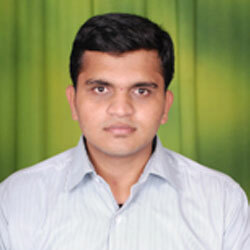 I received my primary and secondary education in Telangana, India. Beside academics, I like cricket, running and swimming I am a fitness lover and workout daily. I am a team worker and like to work in a team. About me: I have done my undergraduation in production engineering from GovindBhallab Pant University of Agriculture and Technology in 2015. Joined Subir Chowdhury School of Quality and Reliability under M.Tech programme in 2016. 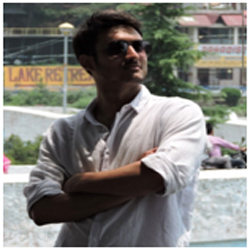 I received my primary and secondary education in Uttarakhand, India. Beside academics, I am interested in various outdoor activities and adventure sports like rafting, kayaking, skiing, trekking, etc. I am also a core team member of Technology Adventure society. I like to meet new people and work in a team. 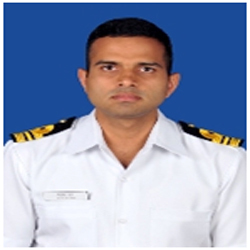 About me: I am Lt CdrNiteshRai of INDIAN NAVY, Commissioned on 01 Jan 2010 in the Electrical Branch. 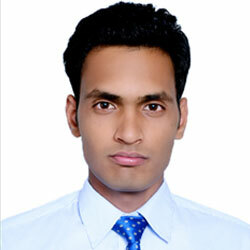 I have received B.Tech in Electrical and Electronics from Jawaharlal Nehru University (JNU) and M.Sc. in Electronics and Telecommunication from Cochin University Of Science And Technology (CUSAT). 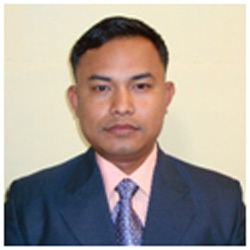 I am currently undergoing M.Tech at Subir Chowdhury School of Quality and Reliability, Indian Institute of Technology Kharagpur, India since July, 2016. In addition to academics, I have keen interest in playing Golf, Hockey and Basketball. Research Interests: Reliability aspects of various Radar’s and Sensors in Naval Environment. In addition to academics, I have keen interest in sports and photography. About me: I have done my under graduation in Electrical and Electronics Engineering from Punjab Technical University in 2013 and did my post-graduation in Power System from Thapar University in 2015. Joined Subir Chowdhury School of Quality and Reliability under M.Tech programme in 2016. I received my primary and secondary education in Bihar, India. Beside academics, I am interested in cricket and athletics listening old classical songs. Design of Cosine Control Firing Circuit by Using Sinusoidal Oscillator" in IJAREEIE journal in 2015. About me: I have done my undergraduation in electronics and communication Engineering from B.V.B college of engineering and technology in 2010. Joined Subir Chowdhury School of Quality and Reliability under M.Tech programme in 2016. 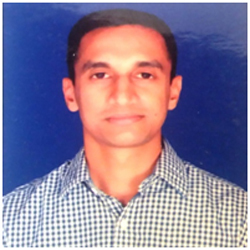 I received my primary and secondary education in Karanataka, India. Beside academics I am interested in various outdoor activities like swimming, tennis and trekking. 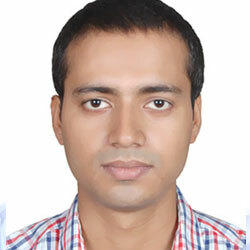 About me : I am currently a M Tech student at Subir Chowdhury School of Quality and Reliability, Indian Institute of Technology Kharagpur, India since July, 2016. 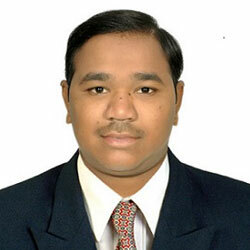 I received BE degree in Mechanical Engineering from UVCE, Bangalore University India, in 2002. I did my schooling at JawaharNavodayaVidyalayaKhumbong, Imphal West, Manipur,India. In addition to academics, I have keen interest in different walks of life. I like watching Movies and playing badminton. I am also interested in listening old Hindi songs. I am a fitness lover and work out every day. I like to explore new thing, meet people from various walks of life and make friends. 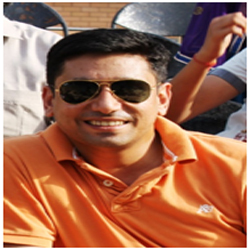 About me: My name is Lt Cdr Piyush Garg & I belong to Delhi. I completed my schooling from Kendriya Vidyalaya, Andrews Ganj, New Delhi. 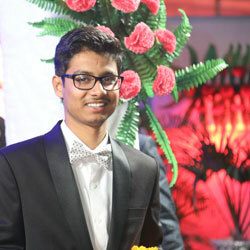 I did B.Tech in Computer Science and Engineering from Indraprastha University, Delhi in 2010. Since then I've been working in Indian Navy. 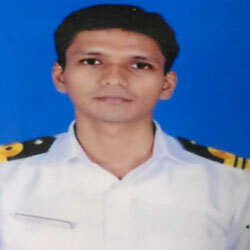 During the past 7 years in Navy, I've served in various capacities and undergone various courses , including MTech in Aeronautical Engineering (Avionics) from Cochin University of Science and Technology (CUSAT), Kochi. At present, pursuing M.Tech in Reliability Engineering. My interests are reading, swimming and music. Yoga is my passion. 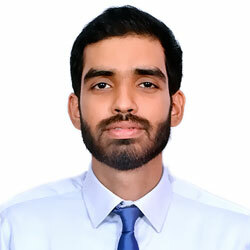 About me: I completed my Bachelors in Industrial & Production engineering from Jabalpur Engineering college, Jabalpur, Madhya Pradesh in 2016.I did my major project on “Case study of re-rolling mill” in which worked on productivity improvement of mill. Joined Subir Chowdhury School of Quality and Reliability under M.Tech programme in 2017. 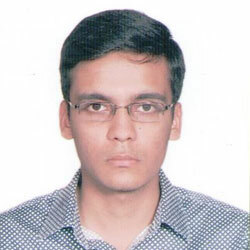 I received my primary and secondary education in Madhya Pradesh, India. 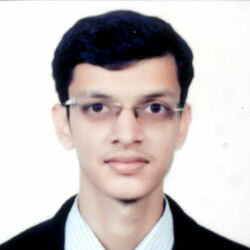 About me: I have completed my graduation in mechanical engineering (2016 batch) from SGSITS Indore, M.P. After my graduation I've worked at J.K. Cement Works Limited in the c aptive power plant department. Beside academics I like playing cricket, football & listening to music. About me: I have done my undergraduation in mechanical engineering from M.J.P. Rohilkhand University in 2017. Joined Subir Chowdhury School of Quality and Reliability under M.Tech programme in 2017. 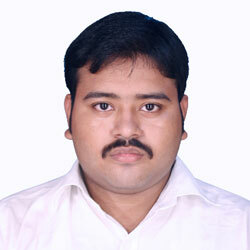 I received my primary and secondary education in Uttar Pradesh, India. Beside academics, I am an avid follower of football and cricket. i am also interested in sports like badminton and tennis. 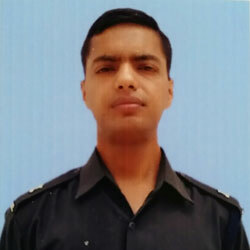 About me: A defence sponsored candidate has about 10years plus experience in the corps of Indian army responsible for maintenance and upkeep of all equipment held with the force. 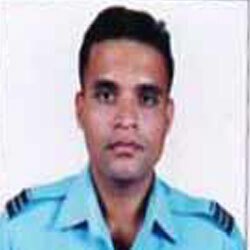 About me: I am sqn Ldr mishoo Rawat serving in Indian airforce. I have done my btech in mechanical engineering prior to pursuing mtech in reliability engineering. I have done my schooling from Lucknow. I am a keen sportsman and long distance runner. About me: I am Lt Cdr Ravikumar, presently undergoing MTech in Reliability Engineering from Subir Choudhary School of Quality and Reliability. I did my Electronics Engineering from Nagpur University in 2010 . My hobbies/interests includes running , cycling and playing squash. Served in navy for 07yrs prior to joining this course. Beside academics, i like cricket, running, travel and explore new places. i like to interact with new people and i am a team worker. About me: I have done my undergraduation in Mechanical engineering from Shri mata vaishno devi university in 2016. Joined Subir Chowdhury School of Quality and Reliability under M.Tech programme in 2017. I received my primary and secondary education in Bihar, India. Beside academics, I like playing Cricket,Travelling and Listening music.I like to meet new people and work in a team.